Just a reminder that there are no workouts this week due to the Easter break. Regular classes resume next week! Karate classes today will be held in the Whitebear School on Whitebear First Nation. The school is easy to find. Simply drive in on the Whitebear Resort Road and continue up the hill. The school is on the right hand side once over the hill. All classes will be held at the normal times. Tuesday classes are being held in Whitebear School this week! Classes will be held at the regular times… Just for Kicks at 6:30 pm; Adult/Jr class at 7:30 pm. Turn into the Whitebear Resort entrance. Drive straight up the hill… the school is on the right hand side of the road. Super easy to find! Set your camera on a timer or ask someone to take it for you while you are in kiba dachi stance. If not, it’s never too late to start practicing! 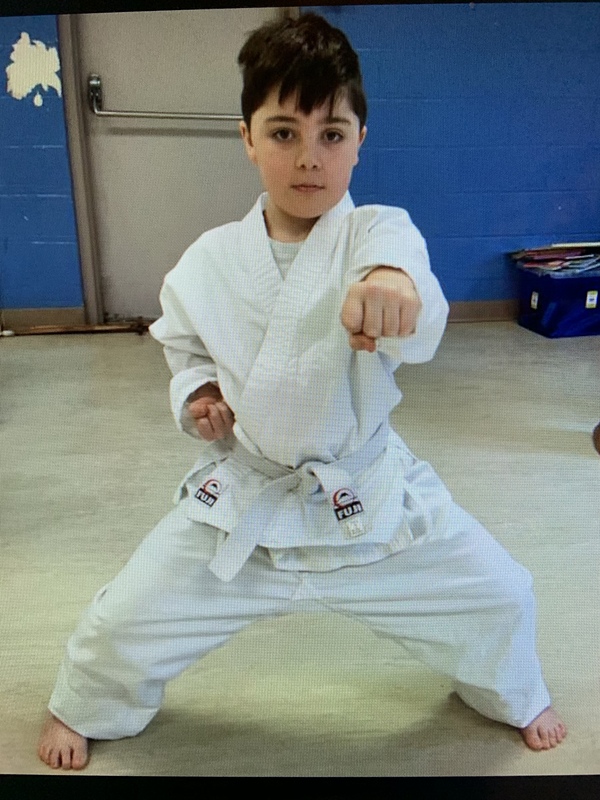 This young karateka is in an awesome kiba dachi stance! His feet are a little past shoulder width apart, they are both pointing forward, his knees are nicely bent, and his back is straight. We should all hang this in our dojo for inspiration!